Frozen Hearth Review - This Is My Joystick! As someone who reviews games while also learning to make them, you start to subtly change the way you think about games. This counts doubly for games that are made by smaller teams. I’m finding it increasingly hard to just throw things away just because they maybe don’t have the same level of polish as a big AAA title. At first impressions, Frozen Hearth looks like substandard RTS made in the early 2000s. Play a little more, however, and you realise that there are some good ideas hidden underneath. 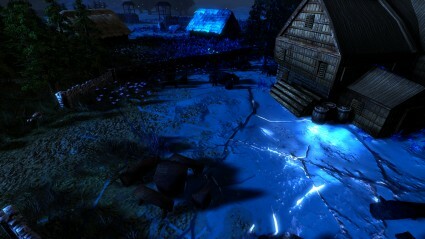 Frozen Hearth is set in an entirely original fantasy world created by the developers. The story tells of a fantasy land inhabited by the strong and proud Danaan, a warrior race split into the different tribes. As the game starts, there has been an increase in the number of Avatars amongst the population, warriors of great skill or magicians capable of changing reality. This turn of events foreshadows momentous happenings, and unfortunately for the tribal Danaan, it’s at that moment that a race of supernatural ice beings called the Shangur descend upon the hapless tribes-people. At the same time, a sheet of ice creeps along behind them, draining the world of life. Overall, I quite enjoyed the story. Some of the telling is a little amateurish, but overall it’s an interesting fantasy tale in an interesting world. It’s obvious that someone sat down for quite a while and spent a lot of time creating a decent backdrop to all the various people and creatures you encounter. Damn it, you got some MOBA in my RTS! The back of the box boasts a blend of Action RTS and RPG, which the game does deliver on. Much like Warcraft 3, you have a hero character that roams around the map, gaining XP and levelling up, with you choosing which upgrades and skills to take. Your HQ also includes a store, letting you trade resources for magic items. This character, your Avatar, is the focal point of your army and supports the units around it. On top of busting around with your hero, you can also build up your army. To do this requires resources which can be gained by capturing resource points out in the world, in a system similar to Company of Heroes. This makes these resources a focal point for most of the players, creating a nice flow to the combat. Meanwhile, base building is a simple yet detailed affair; you have a central hub on to which you add various attachments (up to six), letting you theme your force. It can be a little restrictive when you want to look through all the various units, though. There are two different races, and each has one of these has three different heroes: one focused on defence, another focused on offensive and the last focused on magic. In addition, the human heroes represent each of the three tribes and they also gain another choice of what stat to focus on, so you can end up with a magic-focused hero that specialises in offense. 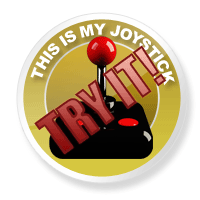 This gives you a potentially huge number of different styles to play, which can make jumping into multiplayer a tricky business. However, there is a problem. Combat just doesn’t feel visceral or exciting in any way. Unlike many of the games it gains inspiration from, it just felt like I was shepherding units around the map before clicking the right mouse button on something, rather than giving me that spark of commanding troops. In addition to the campaign, there is also a skirmish/multiplayer mode which has a whole variety of modes such as King of the Hill or Assassinations. The most interesting is Crucible, which is effectively Defense Of The Ancients. This plays quite well online, although it doesn’t quite have the same focus as games such as League of Legends or DOTA 2. The huge variety of modes is certainly a feather in this game’s cap, however. Let’s not beat around the bush here; this is not a pretty looking game. I have no idea what graphics tech the game is built on, but it fails horribly. It isn’t helped by the fact the game likes doing low shots at character eye level, thus revealing the horror that the sky is just one really blurry texture. Textures in general are blurry, models seem low detail, there is a general lack of anti-aliasing even when it’s turned on to full, and the animation is downright awful in some places. However, I will say that the concept artist deserves a slap on the back for a job well done. The loading screens are beautiful and the game is full of them, with concept art on everything including the launcher application. Again, the sound also leaves a fair bit to be desired. Voice acting is middling at best (while the narrator is some of the worst), with none of the voice actors really sounding like they are into the part at all. In addition, there are not many lines of dialogue for each action leaving it to be very repetitive, especially when controlling your hero in the single-player campaign. Similarly, battle music doesn’t quite get the blood pumping, but some of the background audio in the menus or during the long narration is quite good. One of the main box points is the promised Co-Op campaign. 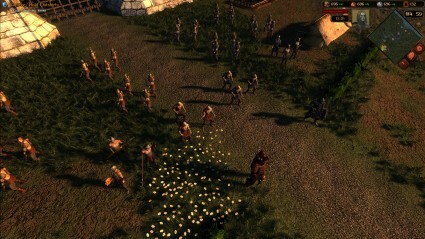 Apart from the first mission, the campaign plays out with the two players acting alongside each other to get the objectives completed. It’s a fun way to play through the missions and makes them go by a little faster. In terms of the competitive multiplayer, the game modes and working netcode (the only lag either myself or my co-op buddy noticed came from the graphics) make for a quite fun experience if you can get past my general issues with the underlying gameplay. Overall I’m torn about Frozen Hearth; it has some good ideas and I’m a fan of its setting, but its execution leaves a lot to be desired. It feels dated, playing like an RTS from 2005 thanks primarily to its graphics tech and low production values. It obvious that the team has put their heart and soul into the game, so I’m going to say you should give it a go. If you enjoy it, I recommend also voting for it on Greenlight.